How Much Food Would A Dino Eat For Dinner? One-hundred fifty million years ago, long-necked sauropods roamed the planet munching on plants and trees. Some of the largest herbivorous dinosaurs could grow up to 115 feet and weigh 80 tons. A team of scientists wanted to see how much nutrition this vegetarian diet provided for the dinosaurs. The group grew horsetails, ginkgos, and other plants similar to Mesozoic vegetation under high levels of carbon dioxide to mimic the atmosphere of the era. Their results were published in the journal Palaentology. Paleontologist Fiona Gill, who is an author on that study, talks about what we know about dinosaur digestion and how this could be used to model other ancient ecosystems. Fiona Gill is a lecturer in Paleontology and Geochemistry at the University of Leeds. She’s based in Leeds, England. One of the iconic scenes of Jurassic Park– and I’m talking about the original movie– is when the two dinosaur experts encounter their first dinosaur in the park. Remember? They run out of their Jeep next to a giant sauropod munching on some trees. The dino even has a bit of tree leaf stuck in their teeth. ELLIE SATTLER: This thing doesn’t live in a swamp. ALAN GRANT: This thing’s got, what, a 25-, 27-foot neck? IRA FLATOW: Yeah, you’ve probably seen this image of the tree leaf stuck in the teeth in other places too. Plant eaters grazing on tops of trees– places like that. The biggest of these sauropods could grow up to 115 feet, weigh up to 80 tons. But how nutritious was this vegetarian diet, and how many leaves would it take? What does a dinosaur really need to eat? Well, a group of scientists investigated this question by growing trees under Mesozoic conditions and creating a sort of dino-digester. Their results were published in the Journal of Paleontology, and my next guest is an author on that study, and she’s here to tell us about it. Fiona Gill is a lecturer in paleontology and geochemistry at the University of Leeds in England. She joins us via Skype. Welcome to Science Friday. Thanks for staying up late for it. FIONA GILL: Hi. Thank you. Thanks for inviting me to speak today. IRA FLATOW: You’re quite welcome. So you are a paleontologist, but not the dinosaur kind. Why were you interested in questions of sauropod diet? FIONA GILL: Well, my previous research has been all to do with fossilized feces, and I ended up looking at a lot of modern feces as well. But one day at a conference, I got chatting to an experimental paleobotanist. And we realized that maybe our interests could work together. And one of the questions that we thought we might be able to tackle is how nutritious was dinosaur food. So the paleobotanist– who’s a co-author, Barry Lomax– had had this idea for ages to grow dinosaur food plants under the atmospheric conditions that would have been around at the times that dinosaurs had lived. And we were kind of wondering, is there any way to go from that to artificial dinosaur poo? We decided there wasn’t. But because of my work with modern feces, I knew about some other techniques that meant that we might be able to replicate digestion of these plants at the [? buried ?] [? grown ?] in the lab. IRA FLATOW: So you went about creating a sort of a stomach? An artificial dinosaur stomach– a digester that you could feed plants into? How did you know what plants? Do we still have plants around today that were around millions of years ago? FIONA GILL: Yeah. Well, we’ve got some that are very, very similar. 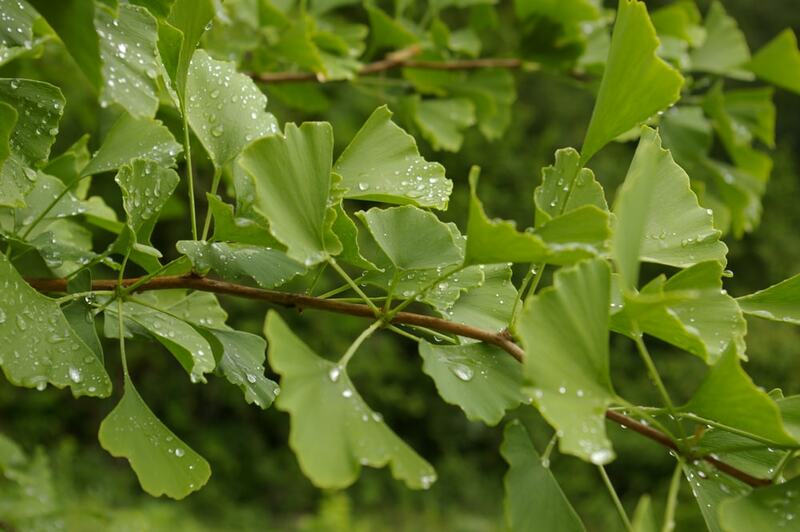 So one of the species we used was gingko biloba. And gingko trees today are very similar to the ones that lived at the time of the sauropods. And for the six plant species that we used in our experiments, they’re all modern versions of plants that we know lived at the same time as the sauropods. IRA FLATOW: Mhm. So you also had to recreate the atmospheric conditions, correct? FIONA GILL: Yeah, that’s right. So we looked at the work that had been published recently, and so the most recent and the best estimates for how much carbon dioxide was in the atmosphere at different times during the Mesozoic. And the experiments we did with our plants, we used four different carbon dioxide concentrations to represent today’s carbon dioxide levels– around about 400 parts per million– and then a range of carbon dioxide concentrations throughout the Mesozoic. So 800 parts per million– so twice as much carbon dioxide as today. Three times as much– 1,200 parts per million. And then highest estimate– the highest concentration was 2,000 parts per million, which is the maximum estimate for how high carbon dioxide might have reached during the Mesozoic. IRA FLATOW: How did you recreate what a dinosaur digestive system would look like? FIONA GILL: Well, we didn’t create it from scratch. What we did was we used a technique that’s been widely used in the agricultural industry to evaluate the nutritional value of new foods. So if people are trying to grow crops or look at different diet combinations that are going to make, for example, dairy cows more productive, they can use this fermentation system to evaluate the nutritional value of the food. So we used that as our starting point, but we ran the experiments for much longer to try and replicate or to get as close as we could to the length of time that it would take a sauropod to digest its dinner. IRA FLATOW: And so– what model? Did you use a cow? Doesn’t it have many stomachs? Or did you use something simpler? FIONA GILL: It was simpler than that. So the actual experiments were carried out in gas-tight syringes. And we put our mental plants inside the syringes, and we incubated the plants, the powdered plants– we ground them up before we put them in there. We incubated them with rumen fluid– cattle rumen fluid– and that was our model for the sauropod stomach, essentially. Well, it’s not really the stomach. It would have been the sauropod fermentation chamber. IRA FLATOW: Why did you choose a cow, and, let’s say, not a horse for the rumen? FIONA GILL: Yeah. So part of the reason was that because this technique has been really widely used, there’s a lot of really good data for different types of plants that we were able to use that and see how our data fitted in and compared to other plants. And the standard for all of these other experiments is to use the cow rumen fluid. But you’re right. I mean, a horse would be a closer analog because a horse is a hindgut fermenter, which means that the fermentation system is situated after the true stomach, whereas for ruminants like a cow, the fermentation chamber where all the microbes [? melt ?] the plant matter is much nearer the start of the digestive tract. And as far as anybody knows, or as most people believe, dinosaurs– particularly sauropods– were very likely to have had large fermentation chambers, but they were most likely to have them in the hindgut position. So a horse would in some ways have been a better analog. Even better would have been if we could have used microbes from a modern herbivorous lizard like an iguana. But in terms of actually being able to sample that material from the animal in a way that was fair to the animal and good for animal welfare is much more complicated for [AUDIO OUT] fermenter than for ruminants. IRA FLATOW: That’s a euphemistic way of saying you would have had to kill the lizard to get the rumen out of it. FIONA GILL: Pretty much, yeah. IRA FLATOW: So let me have a drumroll, please, and get to the bottom line. How much does a dinosaur need to eat? FIONA GILL: Well, it depends on the dinosaur. It depends on the size of the dinosaur. It depends on the metabolic rate. There’s still a lot of uncertainty about what kind of metabolism dinosaurs had. And it depends on which plants it was eating. But according to our calculations, if you took an average sauropod– a 30-ton sauropod– with a metabolic rate that was somewhere between modern lizards and modern mammals, if it was eating the most nutritious food that we could grow, which was horsetails grown under 1,200 ppm/CO2 then it would have needed to eat about 50 kilos a day of that. And if it was eating the least nutritious food that we could find, which was araucaria– the monkey puzzle tree– grown under 2,000 parts per million CO2, it would have needed to eat more than twice as much– over 100 kilograms a day. So those are the kind of differences that we’re talking about. IRA FLATOW: Wow, that’s a lot of food to have to eat. A few hundred pounds a day of food. IRA FLATOW: Now, you said at the beginning that your specialty is coprolites or fossilized poop. IRA FLATOW: Have you learned anything about that from what you’re studying now? What have you learned? FIONA GILL: Well, it’s not directly related. So it kind of– this project came out of my research into coprolites because through the coprolite research, I got more and more interested in the digestive processes of extinct animals. And, of course, dinosaurs are such an iconic animal, especially the big sauropods. It was kind of a natural progression to think about what their digestion was like. And so it was really great to be involved in a project that allows us to work on that. IRA FLATOW: Mhm. And I noticed you did not talk about using flowering plants as food for your experiments. But the horsetails– why is that? FIONA GILL: Well, we did use one angiosperm, one flowering plant, which was the buttercup. We did include that as one of our six species. But the reason that we concentrated on non-flowering plants was because during the Mesozoic, that was when the first flowering plants evolved. So the first ones came in about 125 million years ago, but it wasn’t until about 100 million years ago that they really took off. And, of course, today they dominate our modern ecosystems. But at the time that the majority of sauropods lived, the flora, the plants that were around, were not the flowering plants. And that’s why we focused on those ones in our experiments. IRA FLATOW: Fascinating. So you’re happy with how this turned out? FIONA GILL: Yeah. Yeah, we’re really happy. So the most interesting thing, really, for us is that previously, people had made the assumption that under elevated carbon dioxide concentrations, plants might grow bigger and faster, but they would be less nutritious. And that’s because most previous experiments had been carried out on flowering plants. And also, they’d been comparing modern CO2 concentrations with maybe twice as much CO2. So our experiments were different because we used different plant species, and we used a much greater range. And what we found was that the effect is really species specific. So you can’t just generalize, and so everything’s going to be less nutritious under elevated CO2 concentrations, because some things actually seem to increase their nutritional value under moderately or, in fact, quite high elevated carbon dioxide concentrations. IRA FLATOW: Dr. Gill, thank you for taking time to be with us today, and good luck to you. Dr. Fiona Gill, lecturer in paleontology and geochemistry at the University of Leeds in England. In a national park in Minnesota, protecting a nest of eagles increased the number of breeding pairs of birds to nearly forty percent. New simulations look at a possible ancient impact that was enough to knock the planet Uranus on its side.